Romance Between Anne Boleyn and Thomas Wyatt? 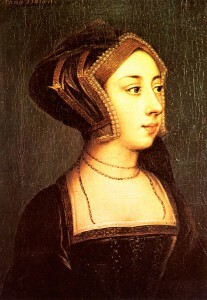 Thomas Wyatt and Anne Boleyn had been neighbors and friends since they were children. Even though there were rumors of Thomas and Anne having a love affair there is no evidence to prove it occurred. With that being said, it seems evident that Thomas Wyatt had fallen in love with Anne Boleyn. But does that surprise you? It seems Anne had a way of charming men with her wit and beauty. When Thomas found out that the king took interest in Anne he wrote a sonnet called, “Forget not Yet (the Tried Intent)” as a farewell to Anne. Lines 1-4: In the first four lines, the poet asks for the audience not to overlook his intention to reach meaning and truth, and to consider the great efforts he has willingly made. The fourth line refrain ‘Forget not yet’ emphasizes this request. Lines 5-8: The request here is for the audience not to forget when they first began this tired life of service and courtship, which no one really understands. The refrain in line 8 is a repetition of line 4. Lines 9-12: Here the audience is asked not to overlook the big criticisms, the mean injustices, the cruel treatment and the pain of waiting through delays in decision-making. Line 12 is a repetition of line 4 again, and this serves to build up the negative issues, which the narrator is attempting to highlight. Lines 13-16: The appeal here is to not ignore how long ago it was (and is) that the mind never meant any harm. The repeated refrain of line 4 is used for the last time here. 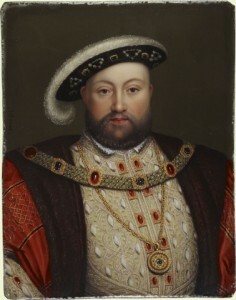 When Henry VIII told Wyatt he was to marry Anne Boleyn he did not like the response given to him by Thomas Wyatt. The below letter that is taken from “Chronicle of King Henry VIII” which was written by Thomas Wyatt after he discovered that his life had been spared from the block (unlike his friends) in May 1536. “Your Majesty knows that before marrying Queen Anne you said to me, Wyatt, I am going to marry Anne Boleyn, what do you think of it? I told your Majesty the that you had better not do so, and you asked me why; to which I replied that she was a bad woman, and your Majesty angrily ordered me to quit your presence for two years. Your majesty did not deign on that occasion to ask my reasons for saying what I did, and since I could not then give them by word of mouth, I will do so now in writing. One day, whilst Mistress Anne’s father and mother were at the Court eight miles from Greenwich, where, as all world knows, they were stationed, I took horse and went thither, arriving when Anne was already in bed. I mounted to her chamber and as soon as she saw me she said, “Good God! Master Wyatt, what are you doing here at this hour?’ I answered her, ‘Lady, a heart tormented as mine has been by yours for long past has urged me hither to ask for some consolation from one who has caused it so much pain.’ I approached her and kissed her, and she remained quiet and silent, and even to still greater familiarities she made no objection, when suddenly I heard a great stamping over the bed in which she slept, and the lady at once rose, slipped on a skirt, and went out by a staircase which led up behind the bed; I waited for her more than an hour but when she came down she would not allow me to approach her. 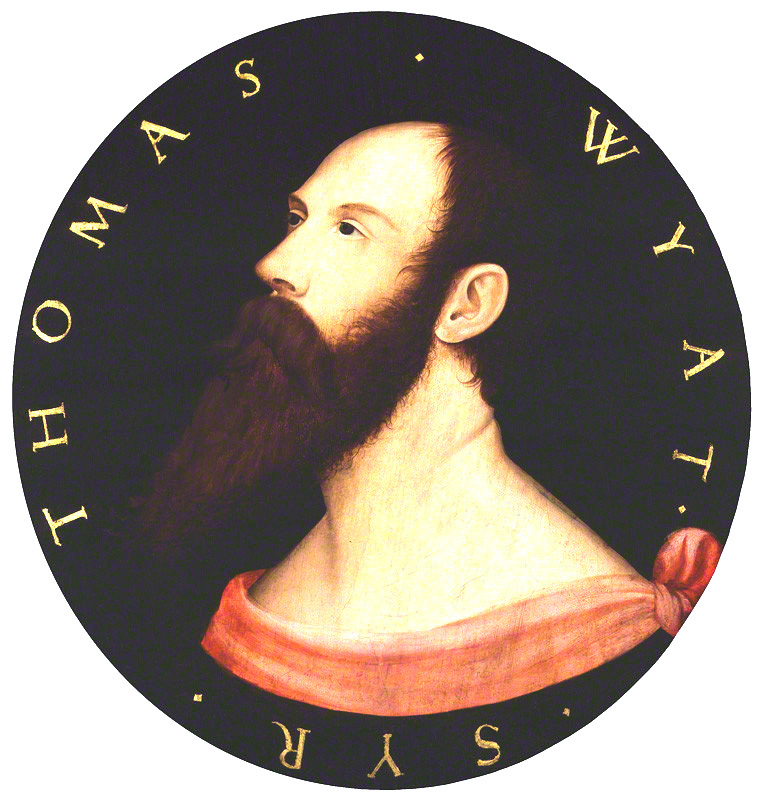 From that point on Thomas Wyatt was loved more by the king than ever. The above mention of the Italian man is in reference to Giovanni Boccaccio who, an Italian poet. The note in the Chronicle of King Henry VIII states that the reference to Boccaccio’s story in the letter proves that it is a genuine letter from Wyatt – for Wyatt was an admirer and imitator of Italian poetry. The story of Thomas Wyatt and Anne Boleyn will always be that, a story. There is no evidence to prove that they had a relationship, but it is often portrayed as so in movies and on TV. It definitely makes it a more entertaining story to tell if there was a love affair, but for now….we’ll stick with what we know. Thomas Wyatt’s letter tells us a lot about how he felt about Anne. It’s great that we have these chronicle to look back on. Does anyone believe this letter as fact? Was Wyatt trying to save himself? I believe so. Thomas had feelings for Anne. He was a great friend to her brother George. He wrote that heart wrenching “These Bloody Days”. This letter sounds like a different Thomas.